One of the hottest looks of 2017 was curly haired women (and a lot of men, too) wearing their curls naturally. This style is set to continue to be hot for the spring and summer season of 2018 and can be an easy look to achieve if you have a natural curl to your hair, whether it is a loose curl or a tight afro curl. Of course, if you don’t have curly hair, there are some extra steps involved to make you look like you have natural curls, and you won’t really ever be able to achieve some of the funkiest looks unless you get a perm – which is a step a lot of people aren’t willing to take. Luckily, one of the other biggest hair trends this year is ultra-straight, as seen on Beyonce and Nicki Minaj of late, so there is still a gorgeous on trend look for you to adopt this season too! Back to the curls, however. 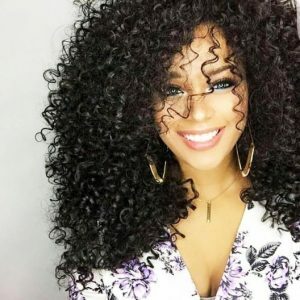 How do you style naturally curly hair to get the 2018 look? What makes this look great is the natural separation of the curls, and this is what you want to make sure is retained in your finished style. 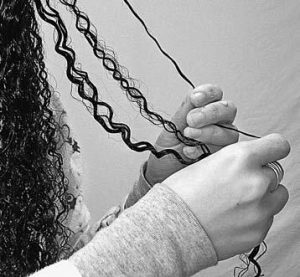 Using some wax or similar texturizing products to separate and define your curls can be a good way to do this. What you absolutely don’t want to do is brush out the curls, as this will break up the curl separation and leave your style looking frizzy or bushy. Instead, scrunch dry large curls and leave them as they are, or if you have tight curls, use a wide tooth comb and pick to style. The natural curls look really should look like you were born with it and haven’t spent any time at all arranging your hair to look as cool and on trend as it does. This means that if you wear any accessories in your hair at all, you don’t really want to go beyond a simple headband. Natural curls can look amazing for everything from black tie formal to casual street style, and with a bit of practice in separating and defining your curls just the way you like them, can be an easy go-to look. If you are addicted to straighteners, make 2018 the year you experiment with your natural curls! If you are looking for a great new cut, color or style for your curly hair, make an appointment with NYC’s premier hairdressers today! We’re the best hair salon in Manhattan. Call us at 646-205-3054 to schedule an appointment.